One of the best ways to enjoy the most delicious (and inexpensive) vegetables is to buy them in their seasonal peak. 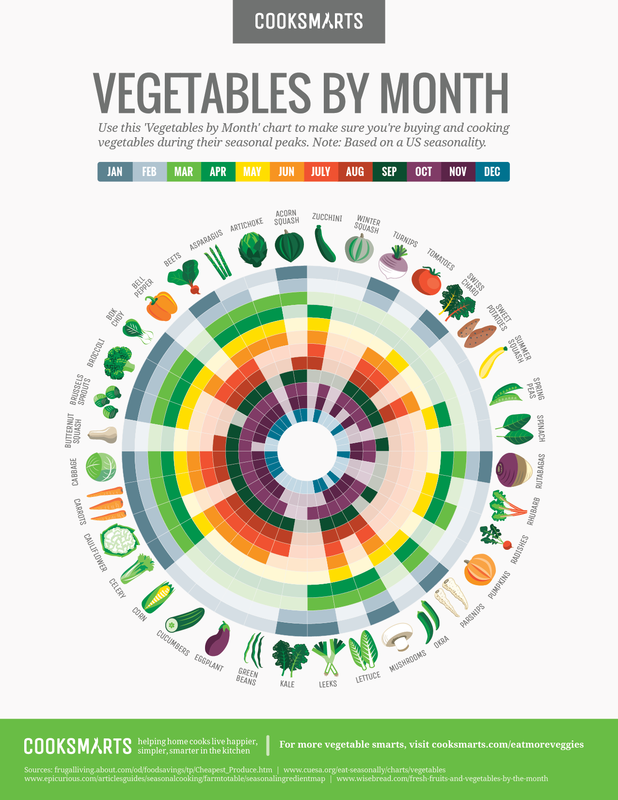 Our colorful guide below is the perfect reference for purchasing and enjoying in-season vegetables. When a vegetable is at its seasonal peak, that’s when its flavor and appearance is at its absolute best! But besides the obvious summer squash and winter squash, how can you know when different veggies are in season? We’ve got you covered with our Veggies by Month Guide! 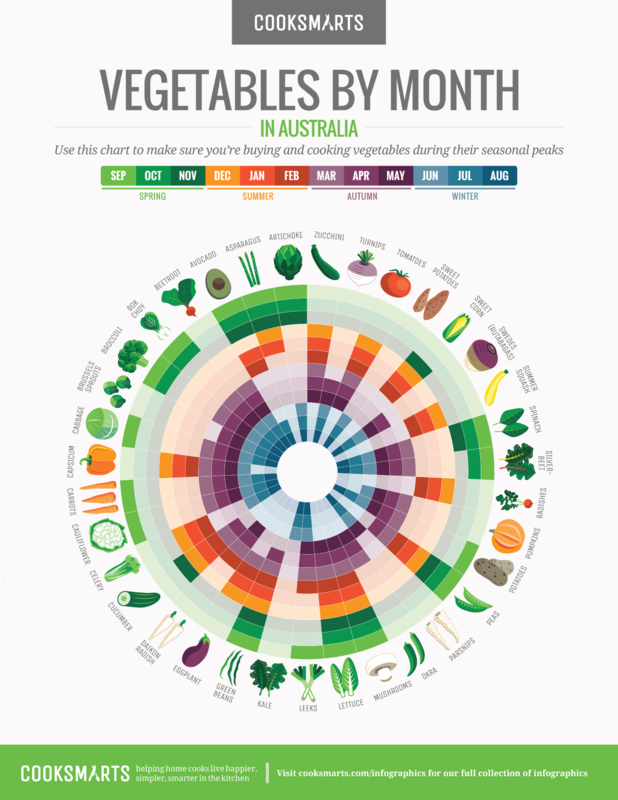 Use the colorful chart above as your guide for buying and cooking vegetables each month. With all produce, you want to start with the best tasting product, and the easiest way to do that is to buy and enjoy them while they’re in season. You can keep it handy by getting this infographic emailed to you for free. And because we now have so many readers from down under, we also created an Australian version that you can also download for free. Just take your pick below! You can also purchase this helpful guide as a card or poster from our Shop, where a portion of our merchandise profits are set aside to support food education. For tips on how to incorporate more vegetables into your diet, check out our #eatmoreveggies series, or sign up for our newsletter below to receive even more cooking tips right in your inbox! As always, we work incredibly hard to create cooking resources that will help you live smarter in the kitchen, so please do help us spread the smarts!